Book your place for the introduction to sourdough class; contact me directly to book your preferred date. 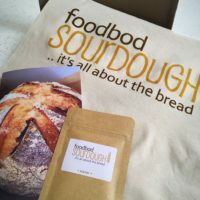 Steve from Malvern: I have just attended one of Elaine Foodbod’s Introduction to Sourdough Courses. What an eye-opener! Everything fell into place with an explanation of exactly what a starter is and the the link to the actual bread dough. All terms were explained, the science was at my level (which isnt high) so really brought things to life.. The whole experience was fun and informative from start to finish and I even got to keep the loaf I baked. The lunch was outstanding with everything homemade. I wonder if I will be allowed to come back to repeat the course! 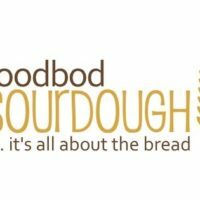 If you want to find out about Sourdough Breadmaking then this is the course for you. The sourdough workshop with Elaine is incredible! This wasn’t just a baking class and Elaine didn’t just teach how to make great sourdough bread. No, what I got was so much more! I got a reminder to simplify life, to enjoy the process and not be scared when things get sticky. Elaine explained every step of the sourdough process with great flow and ease, she didn’t over complicate things and related them in a manner that was easy to understand. The whole day was a fun and joyful experience from the minute we arrived. We went from talking about bread, Harry Potter and Game of Thrones to life, values, competitions and personal development with a beautiful home cooked healthy meal to finish it all off. I didn’t really know what to expect before attending except that I would make sourdough bread but I came away with so much more. Thank you Elaine, let me know when the cooking workshops are available and I’ll be back. Definitely book now if you’re on the edge, you don’t want to miss this gem of a workshop. 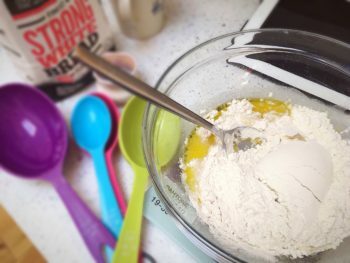 Having never made bread before, and always wanted to learn, I was slightly nervous at first as I had heard Sourdough was extremely complicated. The workshop with Elaine – what can I say…..took away all my fears in the first few minutes, absolutely amazing and I loved every second. Elaine has a beautiful way of teaching and made it simple and effortless in the step by step process. 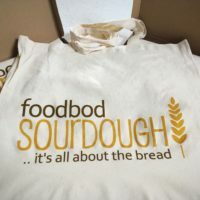 I learned how to make my first sourdough bread and got to take one home…. I learnt how to use the same starter in so many other ways – cheese scones of all things… absolutely to die for and just melted in your mouth. It was a fun day with a life skill of how to make sourdough bread and an experience that I will never forgot……I am hoping to be baking my own loaf from this point forward and am no longer nervous. Elaine is a wonderful person who gives you so much more than you can read in a book and I would highly recommend her workshop to do on your own or with a close friend or family member. 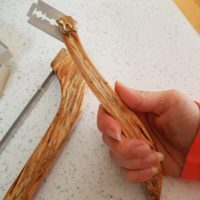 I had fun with my sister and it is a memory I will not forget… Thank you Elaine for sharing your knowledge and making it such a lovely day and Oh I forgot to mention I loved your homemade salad and humous – please do a cooking class – I will be the first to book on…..!